Dumb And Dumber To performed best at the box office this weekend, earning $38.1 million. Though it's exciting news for the sequel to the 1994 comedy, the movie has been torn apart by critics to a hilarious degree. 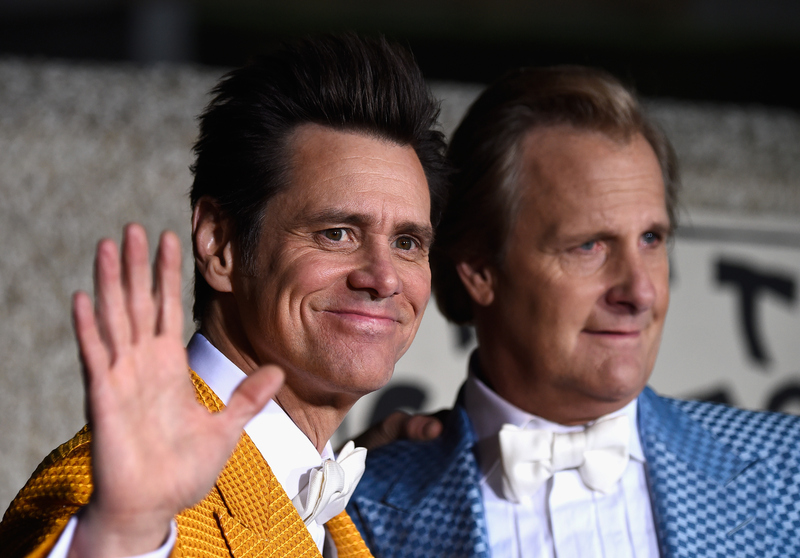 In a review for Vulture headlined " Dumb And Dumber To's Badness Could Give You An Ulcer," David Edelstein wrote: "I reckon four out of every five jokes played to silence at the preview screening. If Dumb and Dumber To were a live comedian, he'd have said, 'Is this an audience or an oil painting?' He'd have left the stage in tears." Entertainment Weekly's Jason Clarke found it similarly unfunny, writing: "There are maybe six hearty laughs in the picture, which averages to about one per screenwriter (not a joke)." Audiences flocked nonetheless, both internationally and in the US. Dumber was followed by the Disney children's flick Big Hero 6, which opened to warmer reviews the previous weekend. The film is a sweet tale about robotic superheroes, and it's the first intersection of the media giants that are Marvel and Disney. Christopher Nolan's Interstellar has inspired a lot of media coverage, both scientific and speculative, and it came in third. The other high performing new release of the weekend was the much advertised Beyond The Lights, a serious romantic drama that has also been lauded by critics. It seems possible that once the nostalgic movie goers have already seen it, Dumb and Dumber To might see a decline next week. When the main critique of a comedy like Dumb and Dumber To is that it isn't funny, there doesn't seem to be much remaining appeal.